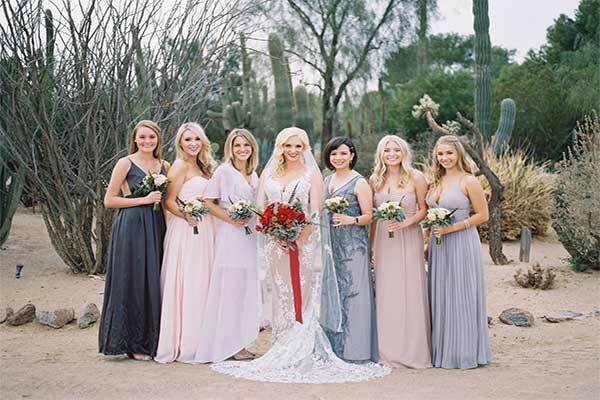 White Stallion Ranch wedding venue is truly one of the most unique in all of Arizona. 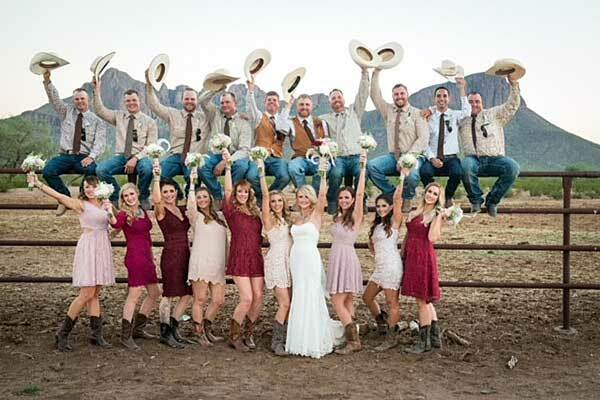 When deciding on a wedding & reception site, one of the benefits of having your wedding at THE RANCH is the staff. From the chefs and managers to the service staff everyone is here to assist you in bringing your vision to life. Our service begins from the moment you call until your last guest leaves. ++ Packages are subject to sales tax and 20% service charge. 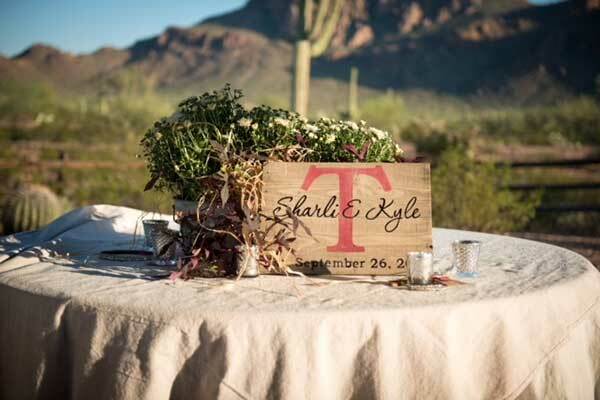 all tables, ceremony and reception chairs and appropriate table linens. We will also provide transport between the venue and event parking area. We will work with and coordinate vendors on the day of the event and provide staff for the smooth running of your day. 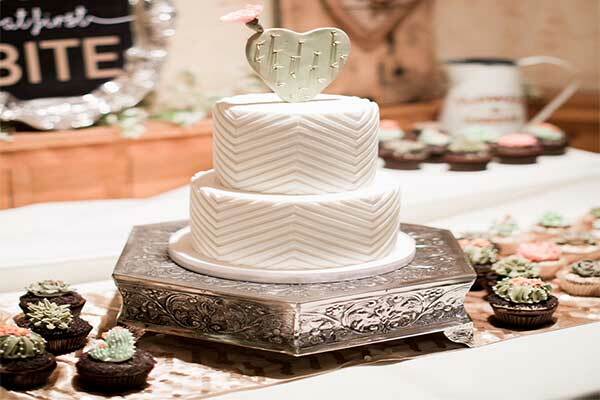 You are responsible for the hiring and organization of all outside vendors up to the day of the event and the decoration of the event space(s) beyond the parameters listed above. Due to the rules of our liquor license, we will provide Bar set-up, bartending staff and all products for your bar, including all alcoholic beverages. We can provide you with a list of preferred vendors that we have worked successfully with in the past as a guide. However, you are welcome to use any vendor that you prefer, so long as they abide by our guidelines whilst on property. Decorated Bonfire Ring from $100 Add some rustic ambience to your reception with a bonfire ring. We will decorate and provide fuel, lighting and s’mores equipment. Ceremony Arch from $100 Ceremony arch or arbor of your choice from our selection. Cocktail Tables from $10 per table Add bar height tables for your cocktail hour. Includes groomsmen shooting/rock climbing activity. *Subject to availability. Rooms at best available basis. 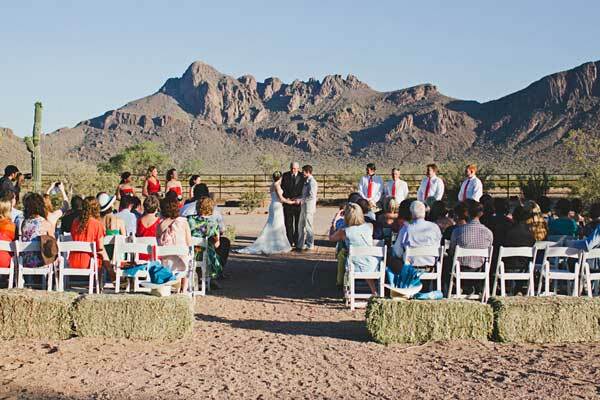 $250 per wagon Authentic hay wagons complete with serape decoration and two beautiful Draft horses to bring your guests to the venue in style. 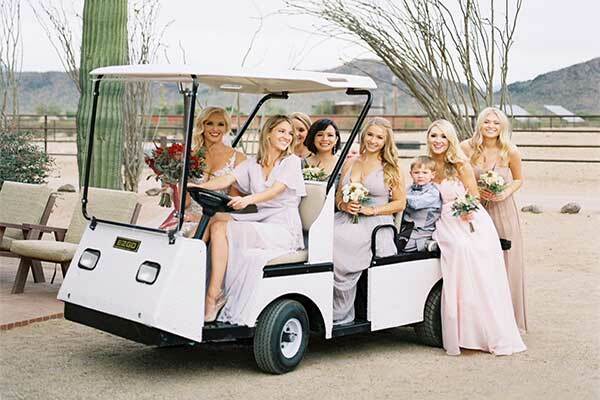 Hay wagon can also be used to transport bridal party only. Max 2 Wagons. Each wagon trip can accommodate up to 25 guests. Max two trips per wagon. on Horseback guided by one of our wranglers, or choose to arrive by buggy. 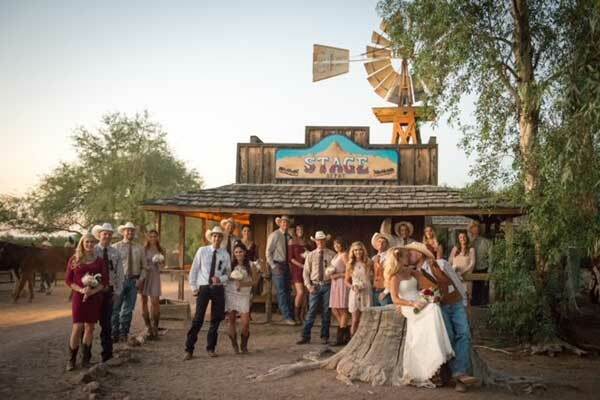 Honeymoon Package Stay an extra couple of nights and enjoy the ranch! We will provide you with a celebratory gift to enhance the occasion. Wedding guests at up to 25% discount. Discounts reliant on room availability, rate season and a minimum 8 room block. Served with salami, sausage, prosciutto , smoked provolone, fresh mozzarella, marinated roasted peppers, Italian artichoke hearts, grape tomatoes, pepperoncinis, marinated cauliflower, marinated kalamata olives, cucumbers, lavosh crackers, and sliced breads with basil pesto, olive tapenade and roasted garlic hummus. All Dinners are served with Iced water goblet and coffee station. Service for Champagne Toast included; client must rent glassware. Prices are based on 50 person minimum. We will provide all china, water glasses, and flatware. We will also provide professional servers and cooks to help facilitate your event. Bar Set Up includes bartender, all bar products and mixers. Coors Light, Miller Light, Budweiser, Bud Light. + Prices are subject to state sales tax.